Sony XAV-62BT 6.1' Double Din DVD/CD/MP3.USB + Bluetooth Screen. 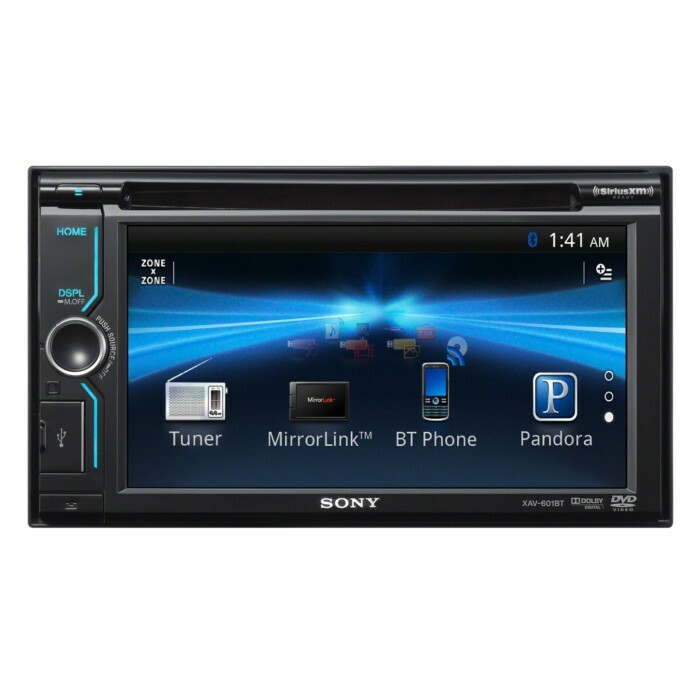 Sony built their XAV-62BT DVD receiver to serve as your mobile A/V center, with a high-resolution 6.1' touchscreen that offers outstanding video performance and great system control. This versatile receiver allows you to make hands-free phone calls and stream music from compatible devices, and you can connect a variety of music and A/V devices through its USB and auxiliary inputs. Once you pair up with the receiver, you'll no longer have to fumble for your phone when a call comes in. With a tap of your finger, the music shuts off, allowing you to talk without interruption as you keep your attention on your driving. And as an added bonus, you can stream music from any compatible Bluetooth device, too. Sony's SensMe™ technology makes finding music fun and interesting. You simply load the supplied software on your Windows PC or laptop, then use it to analyze and group your stored music. When you're back in the car, just plug in your iPod® or other USB memory device, and you'll be able to choose music based on mood, time of day, music type, or even your driving type. You can plug your iPod® into the USB input for direct control and playback of audio files, plus you can add Sony's optional RC-202IPV cable (available soon) for playback of your iPod video content. Slide a DVD into the front slot to enjoy movies or videos when you're parked, or insert a CD or DVD loaded with MP3, WMA, or AAC music files for hours of audio entertainment. Factory radios are often lacking in clarity and power — no such problem with this Sony. Its powerful amp combines with advanced circuitry to make your discs and digital music files sound their best. You can adjust the EQ7 7-band equalizer to optimize the acoustics in your vehicle, or use the built-in digital signal processing to enhance the sound of compressed music files. 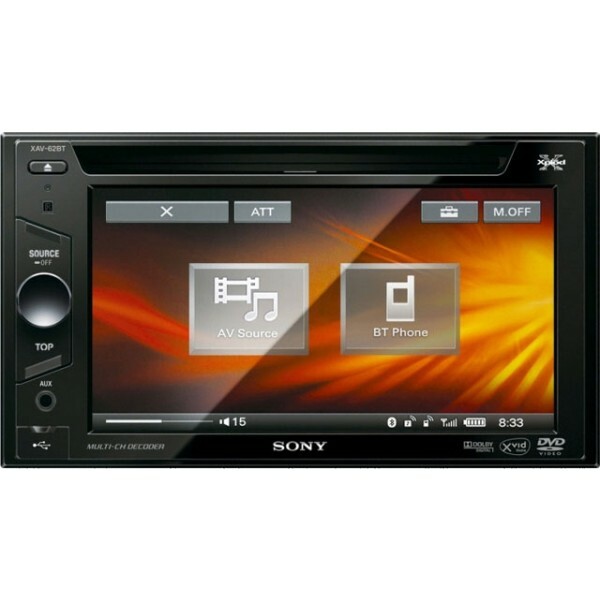 Sony's Advanced Sound Engine (ASE) brings your DVD's multi-channel soundtrack to life in your vehicle. The Intelligent Time Alignment system creates perfectly balanced sound, while the Center Speaker Optimizer (CSO) creates a virtual center channel for a true-to-life 5.1 listening experience. Just a quick thanks to the Cotteridge store, they fitted this into my A3 and I'm loving it-much better sound than the Audio unit, excellent picture quality and easy to use.